"Growing up in Chicago I have experienced the change in our City’s dynamic…from our Lakeshore to the outskirts of the city and the suburbs and the revitalization of our neighborhoods is what makes me well rounded all over Chicagoland… As a true entrepreneur I opened up my first business at 21 taking a bankrupt auto parts store and bringing it back to life in Evergreen Park IL after 19 years successful years in the Automotive business I sold out to a national company Napa Auto Parts and began my career in Real Estate…starting at Coldwell Banker Oakbrook, then moving to a family real estate firm called Progress Realty in Chicago.. after the passing of the Owner moved to Prudential Rubloff which then became Berkshire Hathaway Koening Rubloff learning and growing after 10 years there have now joined the most innovative Real estate company in America…Compass Real Estate taking the next steps and bringing our Experienced Team into the Future of Real Estate. As well as Real Estate I am also the Chairman and President of Trinity Lutheran Church in Burr Ridge IL for the last 10 years where I Volunteer my time to help grow the church and school. Also Volunteering time to help those in need and have traveled to rebuild homes after Hurricane Katrina in Mississippi. Also, participate with Feed my Starving Children and traveling with the youth to the Native American reservation on Oklahoma to teach them how to rehab the youth centers for the underprivileged children living in poor conditions. My goal in Life is to help as many people as I can and giving them a chance to be successful. Every day is a blessing and always living a positive life is what made me who I am today and in the future… I look forward to serving you in your future needs." While working as a legal secretary for a developer Tanya became very interested in the developing and building process herself. After only a couple of years working as a secretary she went on to obtain her general contracting certificate and began running construction for the single-family home development Park Pointe in Harvard, IL. In order to be closer to home for her children, she took a job for a subcontractor in Hickory Hills as an assistant to the project manager. Shortly after, she was given her own crew to run out in the field and worked on projects in the city such as Trump Tower, the Museum Park Towers and a few CPS schools. Tanya then decided to switch gears and pursue her real estate career by working directly with buyers and sellers and joined the Giliano Group in 2010. She has been a full time Real Estate Agent since that time and is dedicated to each and every one of her clients. With her construction experience she is able to guide buyers interested in new construction homes and loves working with first time buyers as well. Having worked in many aspects of the real estate field, Tanya brings experience, knowledge, and care to each and every one of her buyers and sellers. She is dedicated, hard working and will make each of her clients her top priority. In her spare time she enjoys spending time with her husband, two children and their 3 rescue dogs as well as catching up with friends. A driven and motivated professional with a great sense of know-how, Mitch brings a tremendous sense of enthusiasm, dedication, and diligence to every client-and to every single real estate transaction. Whether representing developers, sellers, buyers or landlords, Mitch works tirelessly to ensure their needs are met and exceeded. Mitch began selling real estate at the age of 22, and since then he has become a leader who brings a sense of positivity and confidence to every deal. Mitch is intimately familiar with neighborhoods and property inventory throughout Chicago. He constantly stays in tune with market dynamics and trends in order to offer his clients exceptional and timely advice. Originally from Lemont Illinois (a southwest suburb of Chicago), where he went to Lemont high school and after graduating he attended College of Dupage to pursue a career in fire science to become a Firefighter/ paramedic. 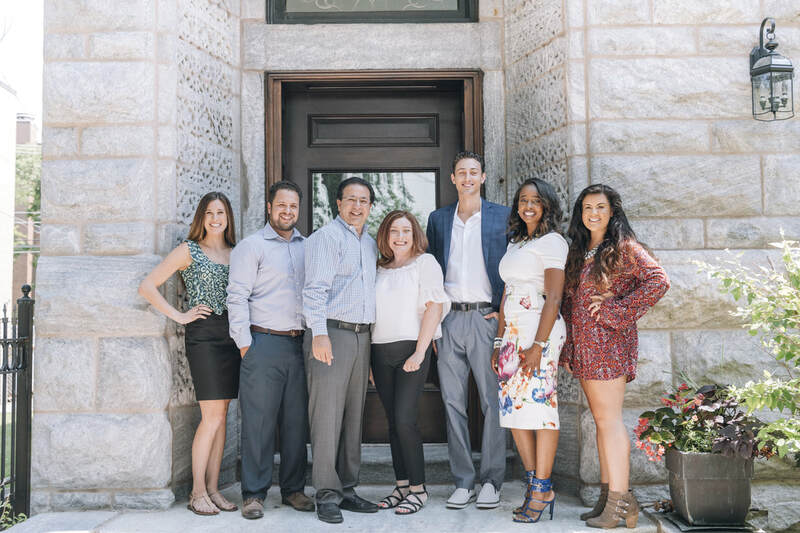 After his time in school, Mitchell decided to go in a different direction and follow in his father's footsteps and join his real estate team Giliano Group in Chicago as a Realtor. With his strong mindset and determination, Mitchell plans on taking on the market head-on with his knowledge of all Chicago neighborhoods. As a child Mitchell would travel all over Chicago with his father, as a boy, he would spend time at his fathers auto parts store in Oak Lawn. After the store was sold he would spend days riding around Chicago’s south side with his father in which Mitchell got very familiar to all Chicago had to offer and his personal favorite neighborhood which is Bridgeport. Outside of his busy workdays, Mitch likes to go on runs with his Australian cattle dog, biking, sport/ tournament fishing, cooking, is a Tony Robbins believer, loves trying new restaurants and is an active member at Trinity Lutheran Church in Burr Ridge. Mitch is always looking for different ways to give back to his community by volunteering, donating, offering any help he can to try and make a difference. Paulette Hollingsworth is a Chicago native, with a love for traveling the world and exploring the uniqueness of her hometown. She is devoted to family, and takes pride in motherhood to a son. As an accomplished business owner, Paulette has observed the world through a creative lense, giving her the ability to assess past and present trends, both socially and professionally. Right at the peak of the housing crash in 2008, Paulette started her own property preservation company, which afforded her the resources to obtain accounts from the largest mortgage field service company in the nation. From this experience, Paulette has proven to be efficient in her passion for excellence and perseverance. Today as a real estate professional , her business approach is direct and tenacious, as she is highly committed to the needs of her client’s. She is always on a pivot, and ready to build a diverse blend of lasting relationships and happy homes! Living in the Chicagoland all his life, Vinny has become very familiar with the city of Chicago and the surrounding suburbs. Vinny entered into the world of Real Estate early at the age of 21. Since then, Vinny has listed multiple homes, worked with buyers, as well as people looking to lease. Vinny is a part of the Giliano Group led by Mike, who has helped him grow in his career. Aside from Real Estate, Vinny enjoys working out and swimming laps. One of his favorite things to do is spend time with his girlfriend and friends exploring Chicago one neighborhood at a time. Vinny's goal is to gain clients trust and help them every step of the way. Whether it be on the Selling or Buying side of the transaction he is there to reassure clients with every decision. Proud member of the Giliano Group of Compass. Regina has been trained by top producing realtor and father, Michael Giliano. Currently specializes in rental properties in both the city of Chicago and neighboring suburbs. Regina is a very outgoing outspoken individual which makes her clients feel like they are in good hands. Regina has worked for the coffee company Starbucks for over 4 years, she has taken that experience of a fast pace environment with her real estate career by always being ready to assist her clients at any given time. Born and raised in Northwest Indiana, Katie worked at her parent’s real estate firm throughout high school and during summer breaks home from college. Upon graduating, Katie moved to Chicago and started a career within the nonprofit sector. 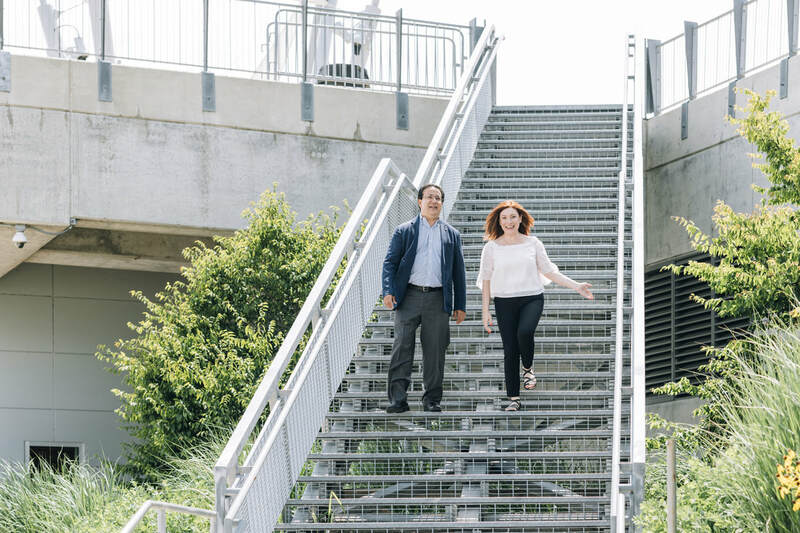 After a few years in nonprofit organizations, she finally decided to put her real estate background to good use and joined the Giliano Group at Compass. Katie graduated from Indiana University with a major in Telecommunications and a minor in Business. She lives in Lincoln Park and loves to run along the lake and explore Chicago’s many vibrant neighborhoods (Wicker Park is her favorite!). If you are looking to buy, sell or lease, Katie will handle every detail while offering unparalleled customer service. She understands that finding a new home is a huge decision, both personally and financially, and she would be honored to guide you through it one step at a time. ​With a degree in Marketing, and 10+ years in sales and business development, Krystyna Watkins is well equipped to help you turn a vision into reality. Her start in sales began when she opened her own Fashion wholesale company at the age of 22. During this time she built the grit and bones to learn her way through business by nurturing relationships with some of the top retail houses in the country. She had the ability to foster relationships with fashion retail buyers at high end international boutiques to local family owned establishments. Regardless of the company size, Krystyna was always able to satisfy her clientele while making long term friends along the way. She is originally from Los Angeles, California, and now calls Chicago home. She is married, with a young daughter and currently resides in the heart of the historic Bronzeville. 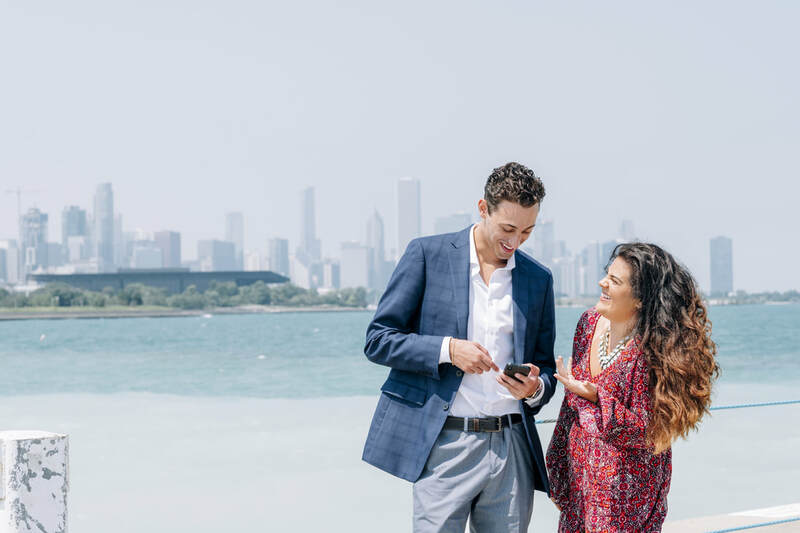 Her passion for the city has grown immensely and she is now revered as a true Chicago City ‘go-to’ when it comes to sharing some of the cities best places to dine, enjoy family activities, nightlife social events or concerts. If you want to know where to go in the city, just ask Krystyna! In her down time, she enjoys home decor + interior design projects in her home, or a good movie with her family. As a seasoned entrepreneur, Krystyna can identify industry trends, and market-related opportunities to achieve the goals of her clients. She has a committed passion to fulfill your home servicing needs, whether you are buying, selling or renting.